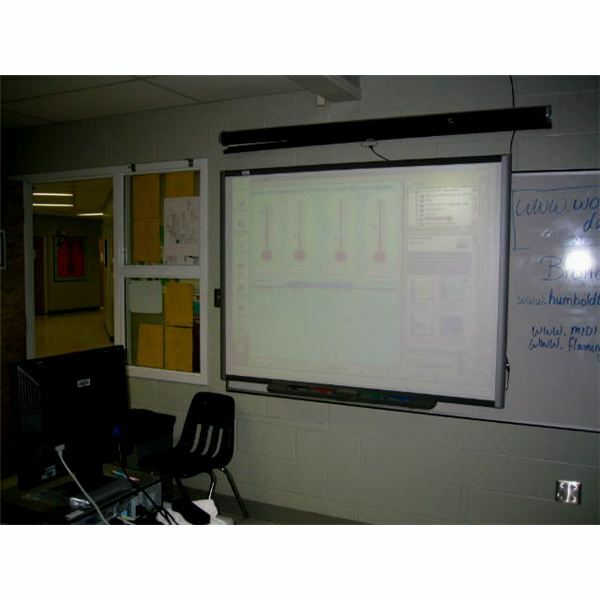 Interactive Whiteboards, digital whiteboards and SMARTboards all motivate students to interact actively in learning. As a teaching tool it can be used in many ways in a teacher’s lessons throughout the day. 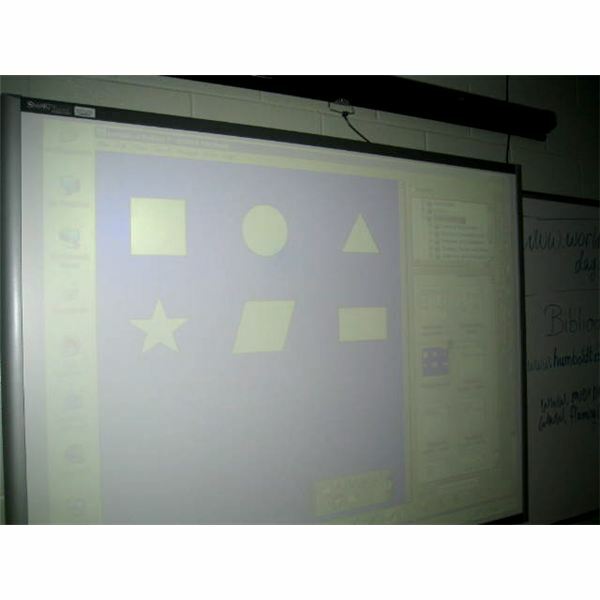 This article provides smart ways to use the SMARTboard. Students love the colors on the writing tools. 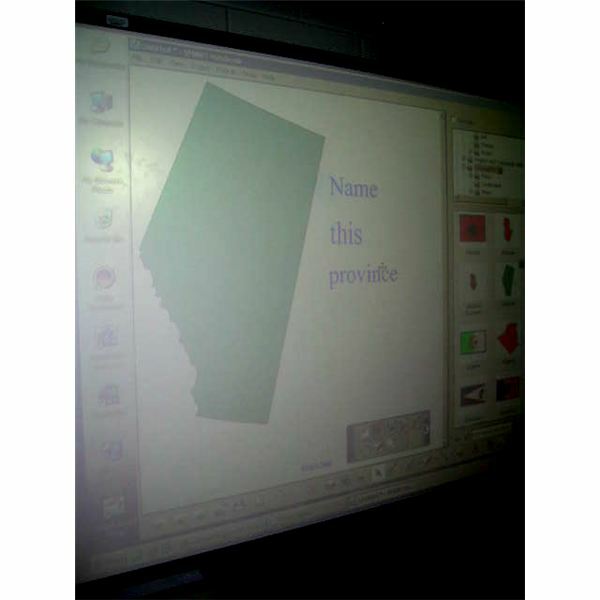 Using a background of a notebook page, or a numbered table, the students sign their names on the SMARTboard as they enter the classroom. This allows for a quick attendance check, especially if the lines are numbered. Place a star in a blank line for the student who is star for the week. Write a message for the day leaving blanks for missing letters. Have students write this message in their notebooks while waiting for their turn to fill in the blanks. Use one color to fill in all the vowels and one color for consonants. As the year goes on the messages can have more missing letter combinations to fill in. Insert a daily quote for the day in the top corner of the SMARTboard. In the educator resources folder, there are videos of famous speeches in multimedia resources. You can present the video and have the students hear the words “I have a dream.." then guess the speaker. They can hear JFK plan to have a man land on the moon. 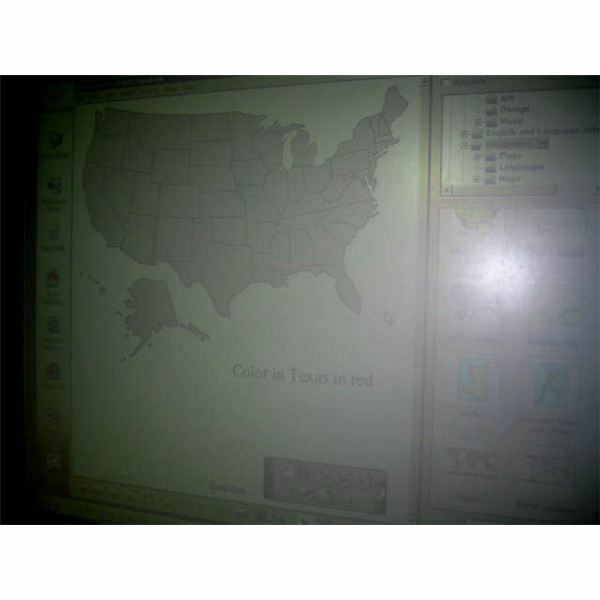 Type a brief daily “Do Now" activity on the SMARTboard. This could be a simple math problem, an estimation of an amount or size of an object, or a list of the 5 top fruits and vegetables to eat daily. 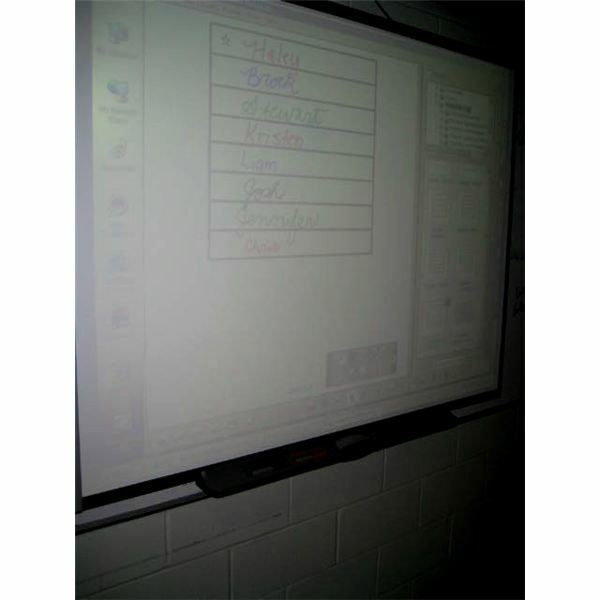 Insert a notebook page with a blank 2 column table on the SMARTboard. The students can write their answer, estimate or list entry in column 1 and then their name in column 2. During a free period or an indoor recess, insert a background picture on a SMARTboard notebook page for students to add their drawings to. There are backdrops such as a stage, an ocean scene, or paintings by famous artists such as Vincent Van Gogh. There are also pieces of tangrams to move around to create sculptures, shapes to trace, and grids of dots to create drawings on. Students love simply to see their signature written on the brick wall background for graffiti art. Using the 2 column table in the SMARTboards educator resources folder, as your notebook page, keep track of names and amount of books read by students. Use the stars or happy faces to indicate amounts. Record reading minutes in a 3rd column. Use the graph paper from the mathematics notebook pages to graph the progress a student is making in books read, or common Dolch words to know in the primary grades. Use the animal pictures and sounds in a story to create a story with sounds. Students love to hear the animal sounds such as a bear sound. Create a short story where the student has to come up and touch the sound throughout. There are musical sounds to include such as the acoustic guitar and flute. Have the students answer comprehension questions about a story or paragraph. The question should be written on the board. If the student gets the correct answer, then a certain sound could indicate a correct answer. They might here a dog bark if it’s a correct answer and a gorilla grunt if it is an incorrect answer. Each letter can be read out to students in a female or male voice. There are other languages that can be spoken aloud such as Spanish and French. The students listen attentively when it is a computer voice making the sound. 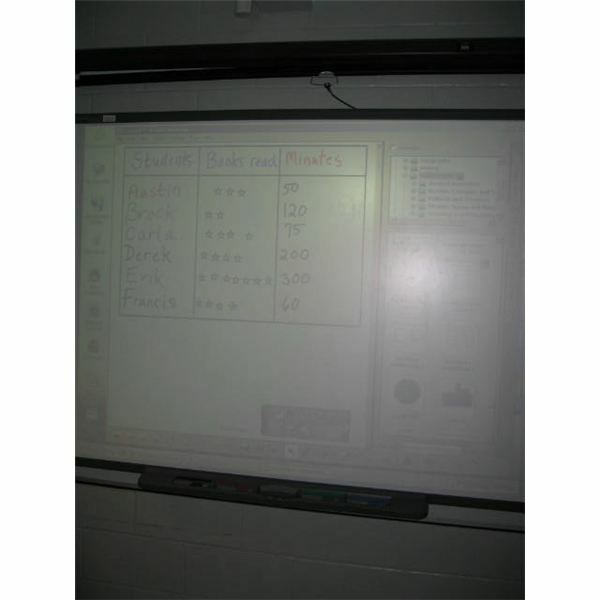 The SMARTboard will show instructions for lessons and games and read them out loud to the students. These interactive lessons and stories can be presented to the students at story time. Some of the videos are made in the U.K. so students will hear British accents as the instructions are read aloud. Since it is a new voice, rather than the regular classroom teacher, the students listen closely. 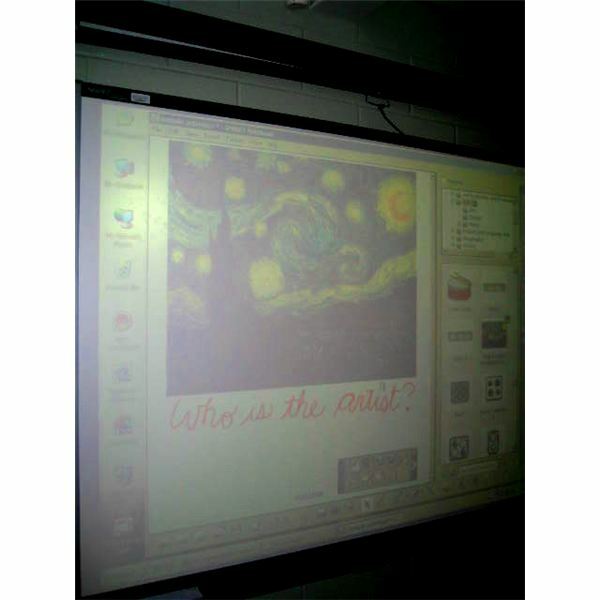 Insert an interesting picture or video from the internet onto the interactive whiteboard. Use it to begin a story. For example, the story starter could be, “What would you do with an extra pair of legs?”. Use a clip art of this image and draw in the extra legs. Have each student add a line to the story, written in a different color. Use the “recognize text" feature, so that printing is converted to text. This will encourage them to print clearly. The typed story can then be saved. Use the colored pens to edit or analyze a paragraph. Every adjective could be marked with a star, every adverb with a happy face and every noun with a thick blue line. 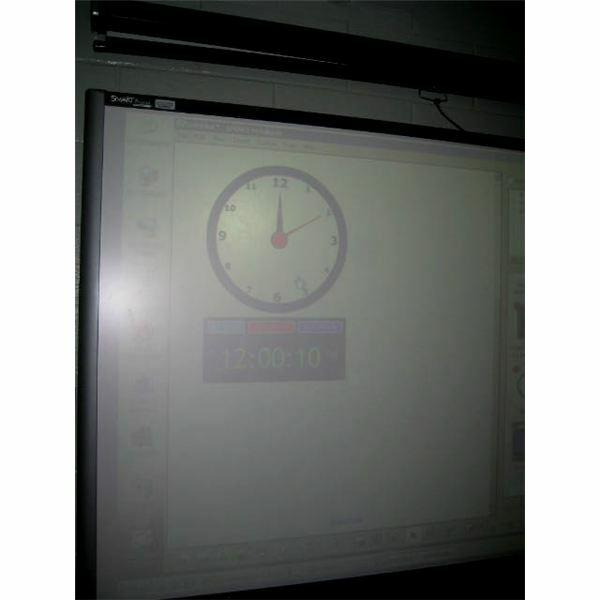 If the story is typed using a word processor such as Microsoft word, the SMARTboard software will work with the program. Highlight an adjective in the story and using the tools menu, find an alternate word using the thesaurus. The dictionary can also be used easily in the same way. An interactive resource for helping students create comics is a good way to teach script or story writing. At https://www.makebeliefscomix.com/ students can create an online comic using characters and speech bubbles. It is easy to change the facial expressions of the characters, which helps the students create the comic. 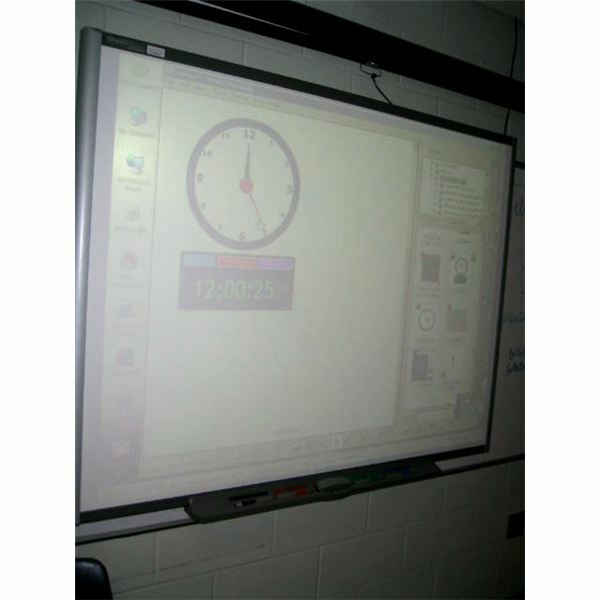 Many daily activities in the classroom can be carried out with the SMART Board. Using the notebook tools and the educator resources including pictures, videos and audio sounds with your daily classroom routines is motivating. Simply watching a clock timer, labeling shapes or reading temperatures become fun daily routines. Students enjoy the interactions and are able to see and hear everyday activities in a new way. 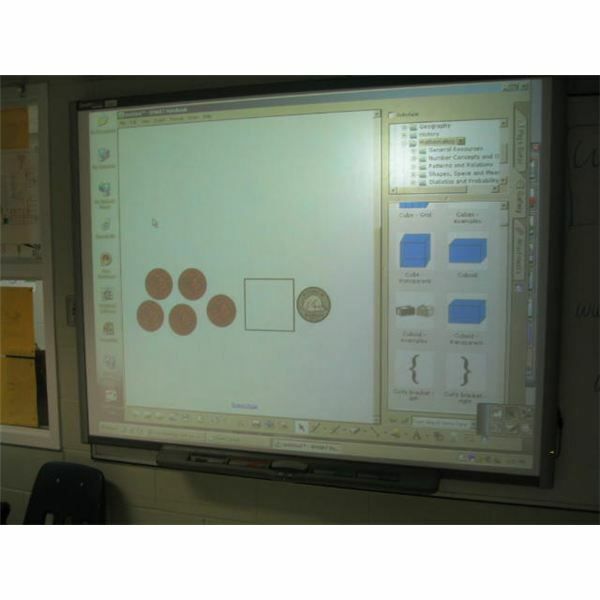 More activity ideas for using a SMART Board from the SMART Technologies website can be found. There are many pre-made lessons which are grouped by country or continent (U.S., Canada, U.K. Europe, Australia, Latin America, New Zealand). You can browse curriculum standards, subject and grade level, and view all of them. You can find more smart ways at: https://smarttech.com/edredirect.